Designed to flatter your changing figure, this suit will grow with you for a perfect fit at every stage of your pregnancy. The adjustable halterneck style makes the most of your pregnancy cleavage, and lightly padded cups provide excellent bust support. Blending soft stretch cotton with high quality Tencel – the eco-friendly miracle fibre that’s softer than silk and cooler than linen – these shorts provide plenty of stretch & feel fantastic against your skin. Chic white accents highlight the crossover v neckline, which is echoed through at the back in a stylish self-tie bow, completing the nautical look. 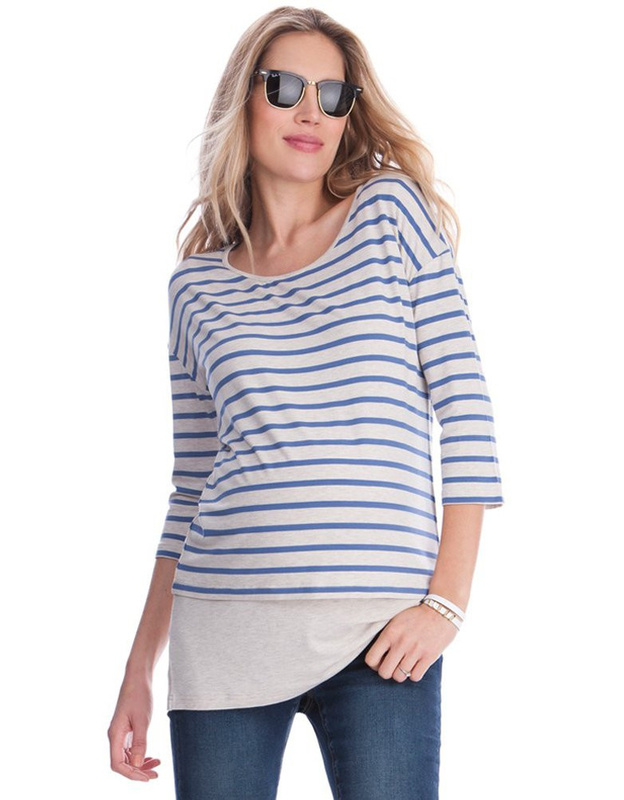 Fashion and practicality are combined in this stylish nautical maternity & nursing top. 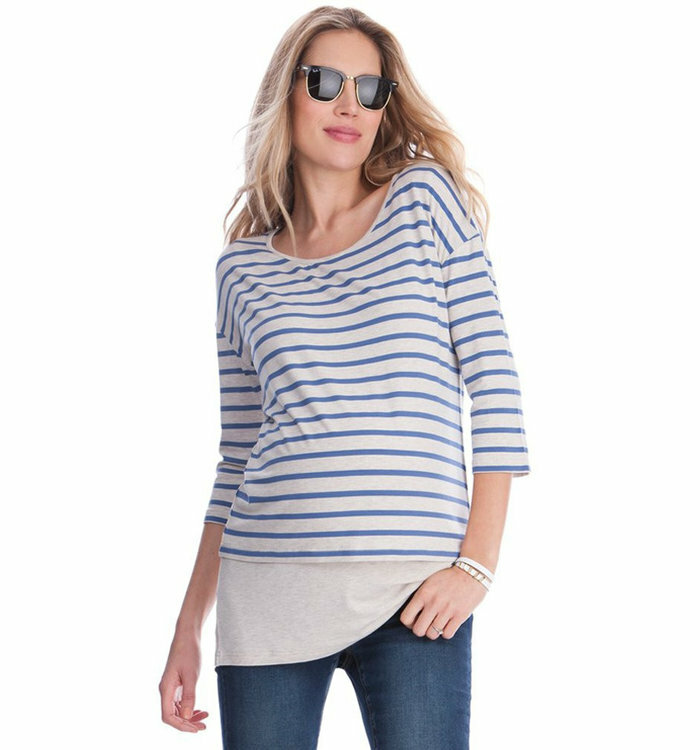 The poppers on the shoulders allow easy access for breastfeeding and the nautical stripes are in trend for the spring time. 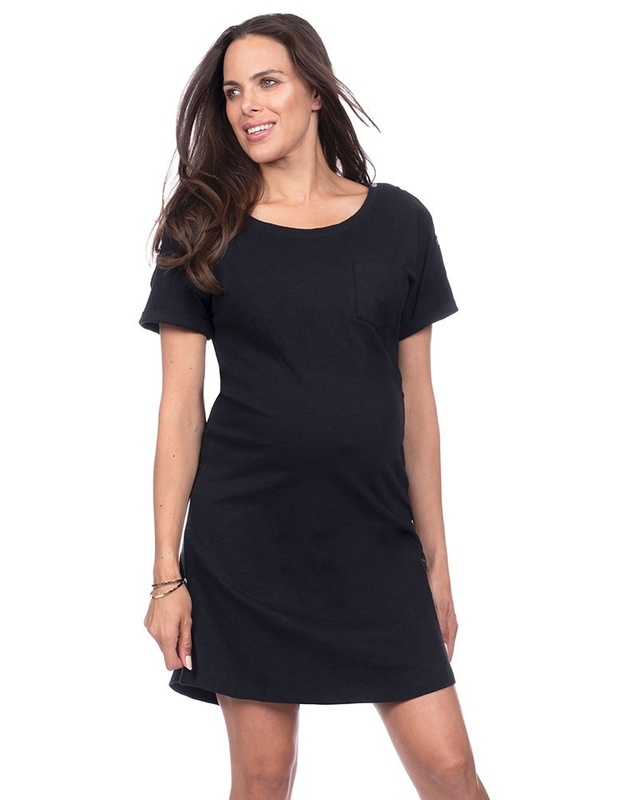 This chic black maternity dress features a classic boat neckline and 3/4 sleeves, and is fashionably ruched at the sides, ensuring a flattering, flexible fit throughout every stage of pregnancy. Work a chic nautical look this season with our stylishly striped Bodycon Maternity Dress. 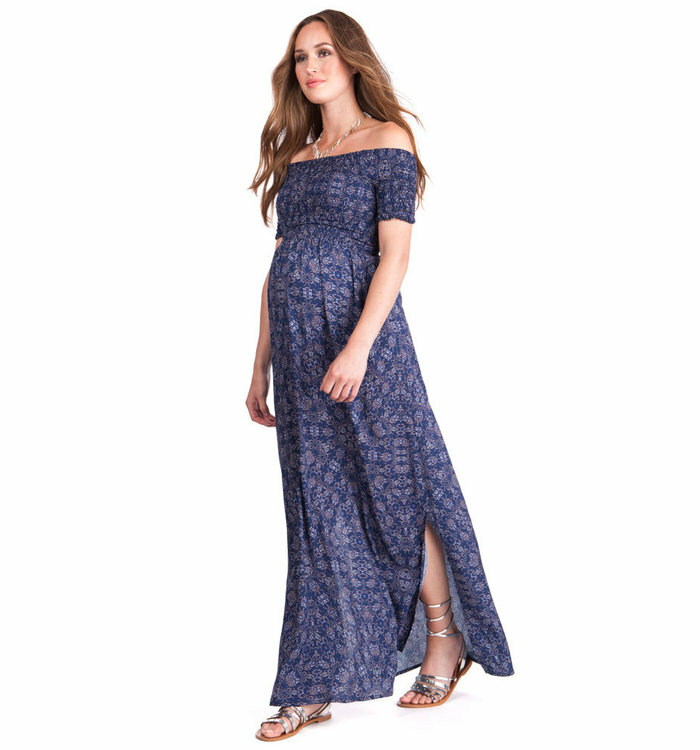 Made in the softest ribbed jersey with plenty of stretch, this dress offers a flexible fit designed to hug your curves through every stage of pregnancy. Our Black Midi Maternity Dress plays into the 90’s fashion revival with an unmistakably modern twist. 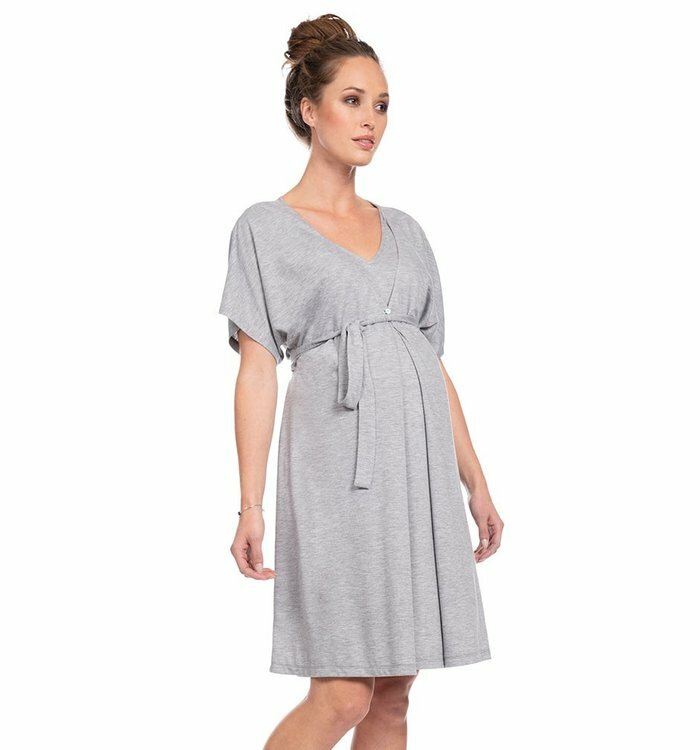 Made in the softest stretch jersey, the style is cut for an easy loose drape – perfect for every stage of pregnancy. 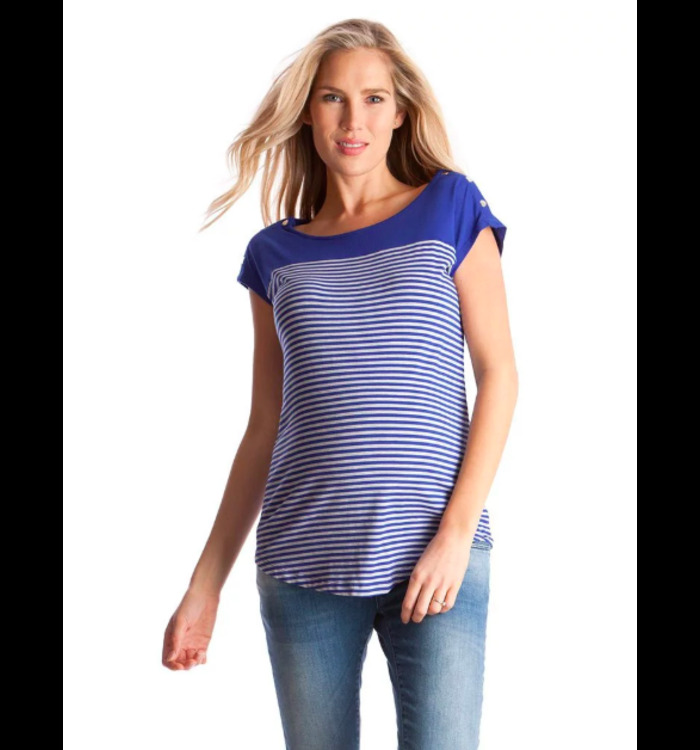 Lightweight and breezy, this chic maternity & nursing top is guaranteed to freshen up your new look. Made in the softest woven viscose, the feminine layered style is designed to drape beautifully over your curves, allowing plenty of room to grow. Beautifully tailored, our smart navy blue maternity pants are a must-have for a working mama. A discreet elasticized over-bump band fits seamlessly under your clothes, providing a flexible fit at every stage of stage of pregnancy. 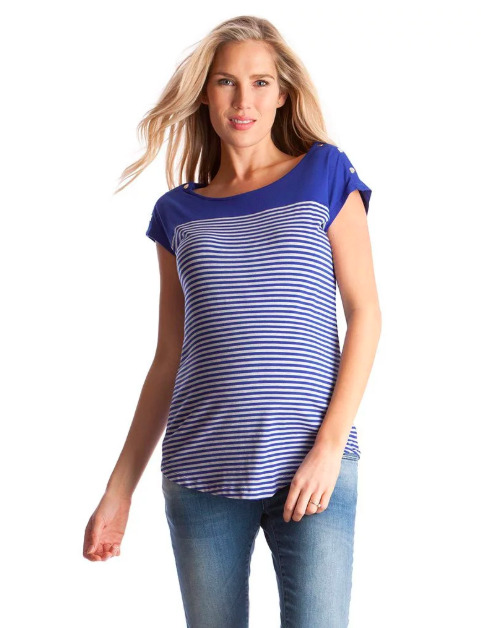 Bring a touch of effortless style to your nursing wardrobe with our Blue Stripe Double Layer Maternity & Nursing Top. 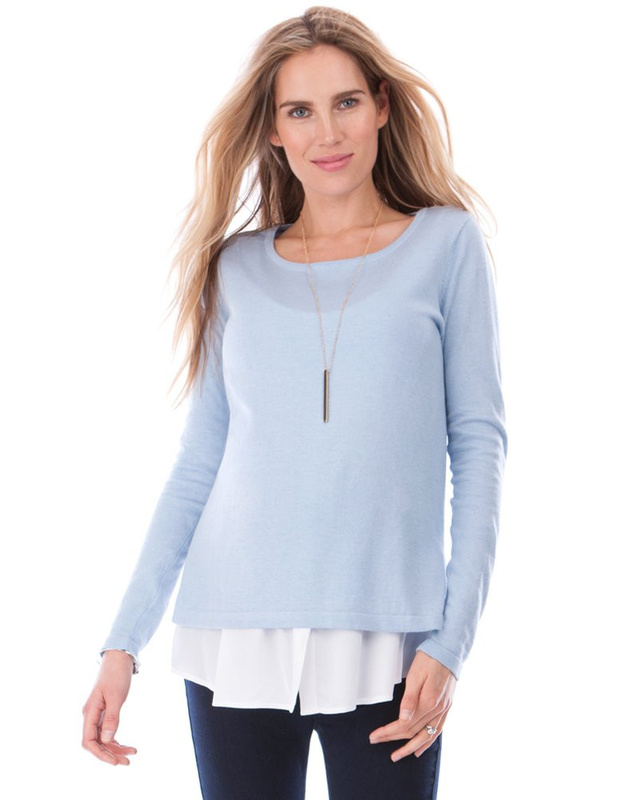 Easy care and easy to wear, it’s made in our softest stretch jersey, allowing plenty of room to grow through pregnancy.